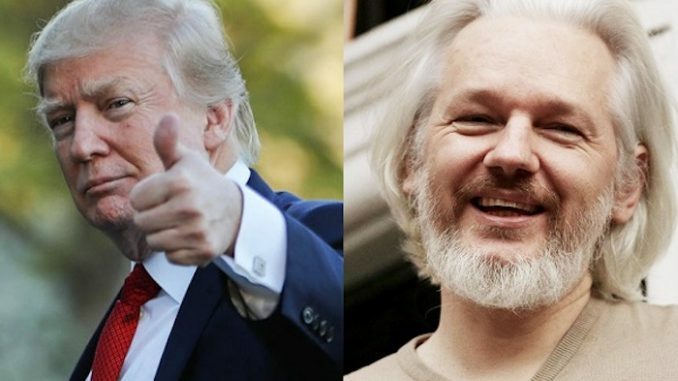 President Trump is to consider pardoning WikiLeaks founder Julian Assange in exchange for Assange disclosing the source of the hacked DNC emails. Republican California Rep. Dana Rohrabacher met with Republican Kentucky Sen. Rand Paul last Thursday to discuss leveraging Paul’s close relationship with Trump in order to let the president know that WikiLeaks founder Julian Assange is willing to put the ‘Russian hacking election’ rumor to bed once and for all – by disclosing the real source of the leaked emails. Dailycaller.com reports: Rep. Rohrabacher told The Daily Caller about the meeting during a phone interview Tuesday. “Rand Paul says the president calls him every now and then. I wanted to make sure that when [Trump] calls him that [Paul] knew enough about the Julian Assange offer that I found something of value for the president to look at,” Rohrabacher told TheDC. Sen. Paul’s office declined to comment. Rohrabacher said that Paul was joined by a few of his staffers, and that the California congressman brought along top aide Paul Behrends and conservative journalist Charles C. Johnson. Rohrabacher met with Assange at the Ecuadorian embassy in London in August in a meeting that Johnson claimed to have arranged. 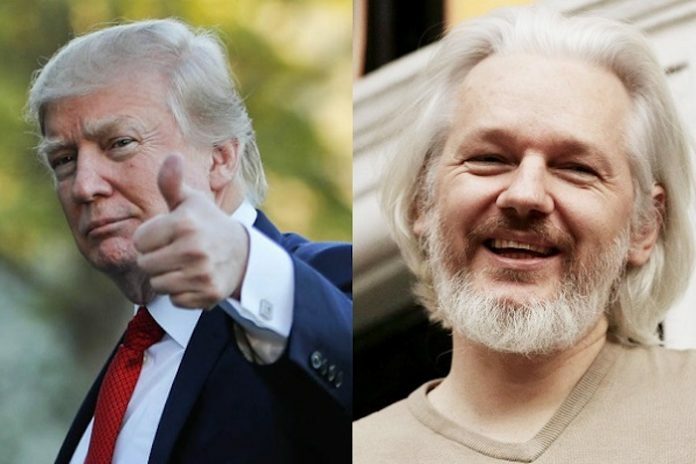 Assange took asylum in the embassy in 2012 after facing sexual assault charges in Sweden that have since been dropped. The California congressman told TheDC that Assange wants to leave the embassy and would need a deal with the U.S. in order to do so. The meeting with Paul came a week after Rohrabacher told TheDC that top White House aides are blocking information about the WikiLeaks founder’s offer to prove that Russia was not behind the hacking and leaking of Democratic National Committee emails during the 2016 election. The U.S. intelligence community has alleged that the Kremlin was, in fact, involved. The Justice Department is reportedly investigating Assange for his role in disseminating thousands of classified documents. Rohrabacher said that Assange wouldn’t necessarily need a pardon from President Trump in order to give up the source of the emails, just an assurance that he won’t be prosecuted.